UN - 5 March 2015 – The living conditions of nearly 2 million Palestinians residing in the Gaza Strip have been undermined by the enduring blockade against the enclave, the United Nations humanitarian office reported today. The longstanding restrictions on the movement of people and goods to and from Gaza have led to steadily deteriorating living standards for Gaza’s 1.8 million people since the imposition of the Israeli blockade in June 2007. “These restrictions have reduced access to livelihoods, essential services and housing, disrupted family life, and undermined the people’s hopes for a secure and prosperous future,” the UN Office for the Coordination of Humanitarian (OCHA) said in their latest study on trends in movement of people and goods into and out of the territory. 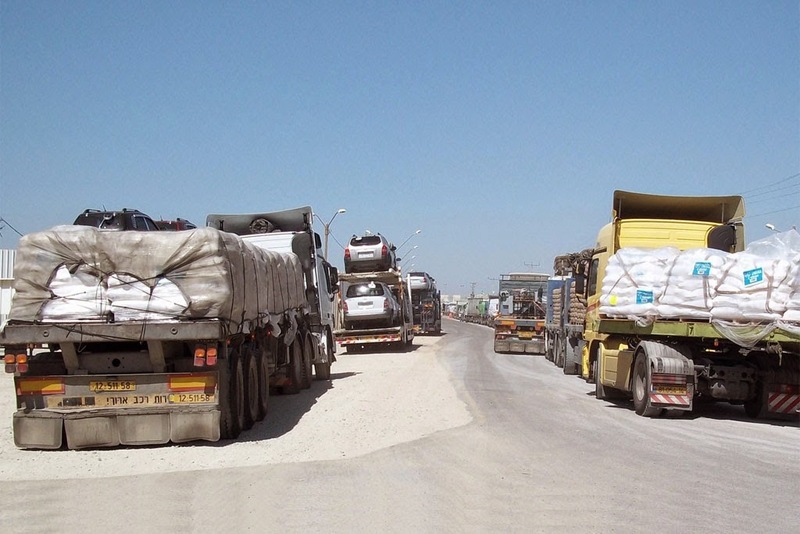 Currently, Palestinians in Gaza can enter and exit the Strip through three access points – the Rafah Crossing connecting Gaza with Egypt and the Kerem Shalom and Erez crossings connecting into Israel. Two other crossings – at Sufa and Karni – have been closed. This scenario has added to Gaza’s woes as the enclave seeks to rebuild from the destruction caused by last summer’s 51-day conflict and remains heavily reliant on imported construction materials.